To enroll in the NSE 4 courses you must have an account on the Fortinet Learning Center (FLC). If you are a partner, you must enter through the partner portal. If you are an employee, login through your myfortinet.com site. The FortiGate NSE 4 - Security Professional designation recognizes a candidate’s ability to configure, install and monitor the FortiGate Unified Threat Management products in a customer’s network. *FCNSA and FCNSP exams will remain available at Pearson Vue test centers worldwide until June 30, when the FCNSA and FCNSP will retire. NSE 4 replaces earlier FCNSA+FCNSP certification. FCNSP certificates will qualify as NSE 4 for a limited time. FCNSP v4 certificates will be honored as NSE 4 through December 31, 2015. FCNSP v5 certificates will be honored a NSE 4 through December 31, 2016. If you hold an FCNSP certificate, you should renew your NSE 4 standing by taking the NSE 4 exam before your FCNSP certificate is expired. Post-sales and support personnel who want acknowledgement that they are a FortiGate Network Security Professional. 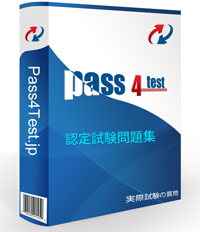 The NSE 4 certification is valid for 2 years. You can re-certify by taking the current NSE 4 exam at a Pearson Vue center. Partners and employees must access the FLC via the portals above to receive credit towards your standing with Fortinet. If you are a customer, you can create an account using your company email address.